AUSTIN— If Northeast Texas were a state, it would rank among the worst in terms of mortality for three of the top four leading causes of death in the U.S., finds a new report from The University of Texas System and UT Health Northeast. The report, which uses detailed mortality data from the National Center for Health Statistics, found that the region has extremely high age-adjusted mortality rates for heart disease, stroke, and chronic lower respiratory diseases. The rates in Northeast Texas were also higher than the Texas average for cancer, kidney disease, suicide, unintentional injury (e.g. car crashes) and infant mortality. The report looks at a 35-county area, covering over 25,000 square miles, similar in size to West Virginia. The region is home to just over 1.5 million people, over half of whom live in a rural area. The report found that if Northeast Texas were a state, it would rank 45th in the nation in overall mortality, after Arkansas and before Louisiana. Texas ranks 31st. As a state, Northeast Texas would rank 49th in heart disease mortality, 47th in chronic lower respiratory disease mortality and 51st in stroke mortality. Overall mortality rates are higher in Northeast Texas, compared to both Texas and the U.S. for both whites and blacks, males and females and across age groups. However, they’re lower than the Texas average for Hispanics. For most of the leading causes of death that disproportionately affect Northeast Texas, the single largest determinant is tobacco smoking. In 2014, 23 percent of adults in Northeast Texas were current smokers, compared to 15 percent statewide. In 2013, nearly 14 percent of live births in Northeast Texas were to women who smoked during pregnancy, compared to 4 percent statewide. All but three counties in Northeast Texas had pregnancy smoking rates more than twice as high as the state rate. While late entry into prenatal care is a statewide problem, this is especially true in Northeast Texas, where 47 percent of pregnant women in 2013 did not have a prenatal visit during the first trimester of pregnancy. Disparities in income and education experienced by Northeast Texas likely contribute to the higher disease burden in this region. Every one of the 35 counties has a median household income lower than the Texas average, and college graduates make up 17 percent of the population, compared to 27 percent in Texas overall. The UT System established a population health initiative last year to address these types of disparities by implementing community-wide wellness and prevention measures and ultimately improving the health of Texans. Educating students, providing care for patients, conducting groundbreaking basic, applied and clinical research, and serving the needs of Texans and the nation for more than 130 years, The University of Texas System is one of the largest public university systems in the United States. 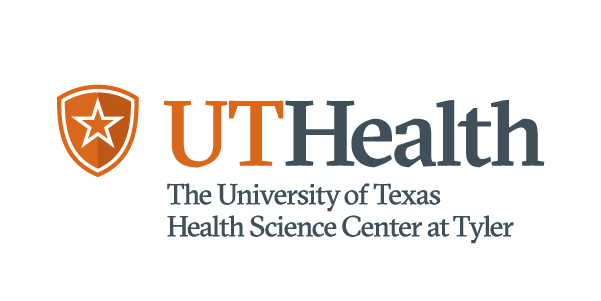 With 14 institutions and an enrollment of more than 221,000, the UT System confers more than one-third of the state’s undergraduate degrees, educates almost two-thirds of the state’s health care professionals annually and accounts for almost 70 percent of all research funds awarded to public institutions in Texas. The UT System has an annual operating budget of $16.9 billion (FY 2016) including $3 billion in sponsored programs funded by federal, state, local and private sources. With more than 20,000 faculty – including Nobel laureates – and nearly 80,000 health care professionals, researchers, student advisors and support staff, the UT System is one of the largest employers in the state.